Fife Window Cleaning Services offer solar panel cleaning to maintain the optimum efficiency from your panels. Solar panels are a great investment, but over time a film of algae and dirt can form on them. Without regular maintenance, you could see a significant drop in productivity of your solar panels. Some experts suggest at least a 30% decrease on solar panels that are not regularly cleaned. The following entry on www.wikipedia.org highlights that many manufacturers provide varying warranties on the long term use of solar modules/panels. However much of the dirt that builds up on solar panels is reversible with a professional clean. 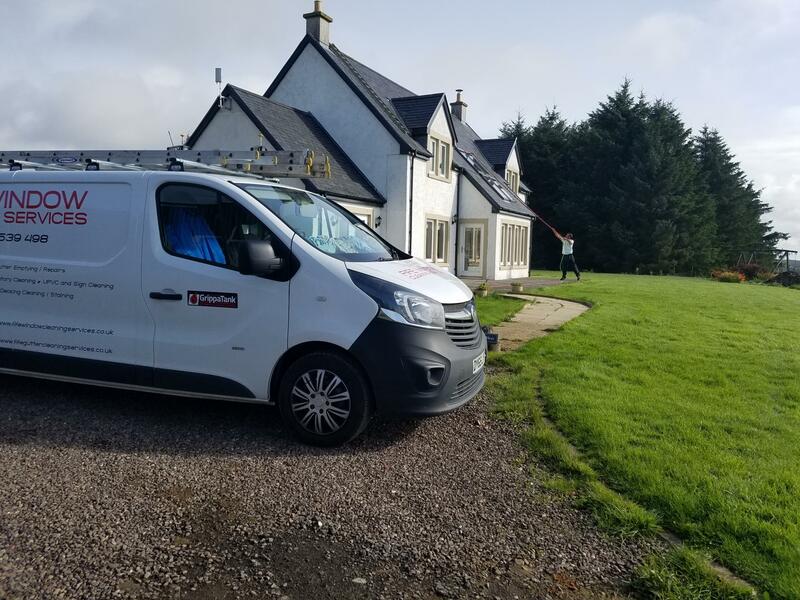 We provide both domestic and commercial Solar Panel Cleaning, covering the whole of Fife and beyond. We use specialist reach and wash pole equipment to ensure your panels have the best results. We can provide a no obligation quotation very simply, and the process of cleaning the solar panels involves using traffic film remover to replace stubborn stains with a shiny new looking surface. We also have a heated water system and this benefits all surfaces with the level of cleansing power we can guarantee. As explained, the productivity of solar panels can decrease through time. Further to this is the fact that solar panels can take up a huge area of your properties surface –and as such have an impact on the overall image of the building or home. Call or contact us today for a quote.